Morel of the story: “tremendous” year predicted for mushrooms, but can you grow them? The morel season is picking up steam, but it wasn’t until today that I found any in the Cedar Rapids area and “find” might be a stretch; these were for sale at the Hiawatha farmers market. 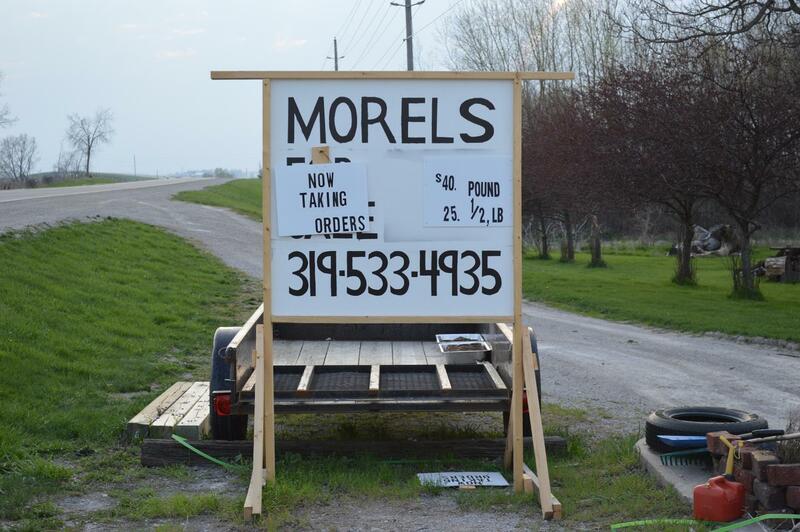 Brein Osborn of Vinton was selling small containers of morels for $10 each at the market, which is open Sundays from 11 a.m. to 2 p.m. Brein doesn’t have to rely on luck to find the mushrooms. Brein and her husband, Jim Osborn, operate Anything but Green Gardens in Vinton. You might remember reading about another Osborn in Vinton. Josh Osborn of Blue’s Best Mushrooms was selling morel growing kits earlier this year at the Mount Vernon farmers market and yes, the Osborns are related. 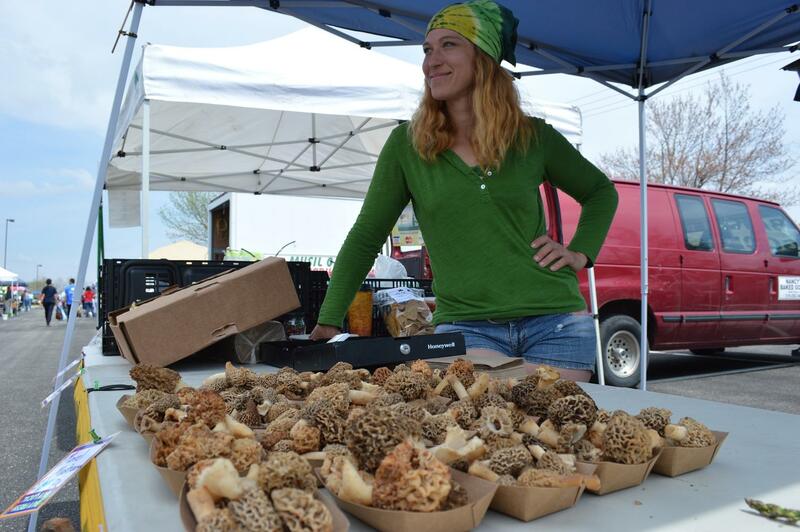 Brein noted that just selling morels has a cost; she has to pay a permit fee of $100 in each county where she sells, but the variety attracts attention to her stand and to other types of mushrooms she offers, such as oyster and shiitake. I also spoke to Graham Kuethe, aka The Mushroom Man, and his seller today, and Graham is predicting an incredible year for morels. Graham is just 34, but he’s been hunting morels in Iowa since age 5, so he knows a thing or two about the spongelike mushrooms. Last year, he teamed up with Denny Merz of rural Cedar Rapids, who is his morel salesman. Denny’s sign along Highway 30, west of Cedar Rapids, has attracted plenty of attention. Already, the two have orders for nearly 100 pounds of morels, at $40 per pound or $25 per half-pound. Last year, the two sold 125 pounds of morels “and it was a bad year,” Denny said. Graham, who gives a cut of the profits to Denny, has a goal to find 200 to 300 pounds of morels this season, but hasn’t found a single one yet. With this year’s wet spring, though, he predicts it’s only a matter of time before he starts finding the mother lode. Morel maps at sites such as the Morel Mushroom Hunter’s Club and Morel Hunters, track morel finds from the Southern and Eastern United States as they progress north, but seasoned hunters like Graham just know when the time is right. “Usually when the lilacs start blooming, then you know it’s time,” he said. Of course, Graham is mum when it comes to where he finds his jackpot of morels, other than pinning it down to the northern part of the state. He’s hoping to begin hunting later this week – around May 10 – or early next week. As for eating morels, Denny likes his sauteed over steak, while Graham also prefers his sauteed in olive oil or butter, then combined with asparagus that is sauteed separately.